What would you sacrifice for freedom? Your friends, your family, your home? Would you risk your very life for a chance to be the master of your own destiny? 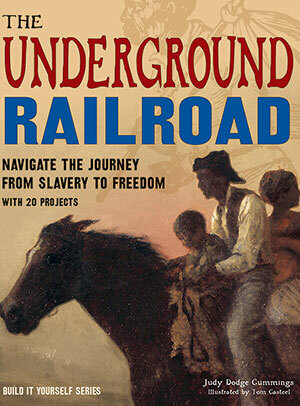 In The Underground Railroad: Navigate the Journey from Slavery to Freedom, readers ages 9 to 12 examine how slavery developed in the United States and what motivated abolitionists to work for its destruction. The Underground Railroad was a network of secret routes and safe houses operated by conductors and station masters, both black and white. Readers follow true stories of enslaved people who braved patrols, wilderness, hunger, and their own fear in a quest for freedom. In The Underground Railroad, readers dissect primary sources, including slave narratives and runaway ads. 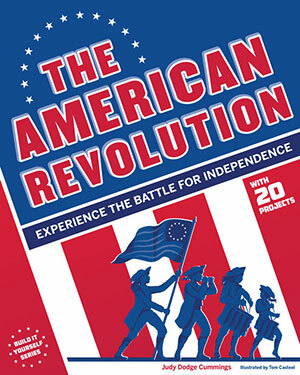 Hands-on projects bring history to life. These projects include composing a song with a hidden message, navigating by reading the nighttime sky, and many more. Amidst the countless tragedies that slavery brought to African Americans lie tales of hope, resistance, sacrifice, and victory—truly an American story. Other Books in "Build It Yourself"